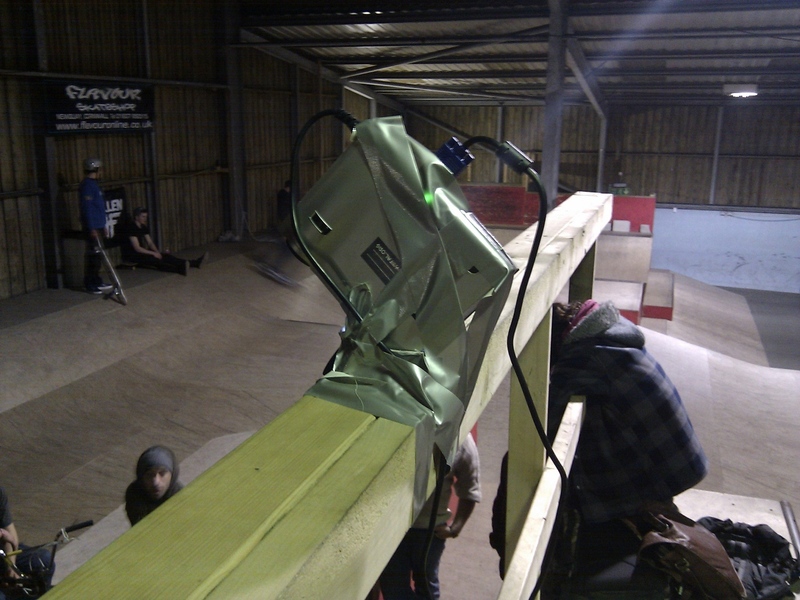 Jaye Louis Douce, Ruth Ross-Macdonald and I took to the ramps of Mount Hawke skate park in deepest darkest Cornwall to test the prototype tracker/projection mapper (now know as ‘The Cyber-Dog system‘) in it’s intended environment for the first time. Mount Hawke consists of 20,000 square feet of ramps of all shapes and sizes, an inspiring place for thinking about projections and tracing the flowing movements of skaters and BMX riders. Finding a good place to mount the projector was the first problem, it was difficult to get it far enough away to cover more than a partial area of our chosen test ramp – even with some creative duct tape application. Meanwhile the Kinect camera was happily tracking the entire ramp, so we’ll be able to fix this by replacing my old battered projector with a better model in a more suitable location. 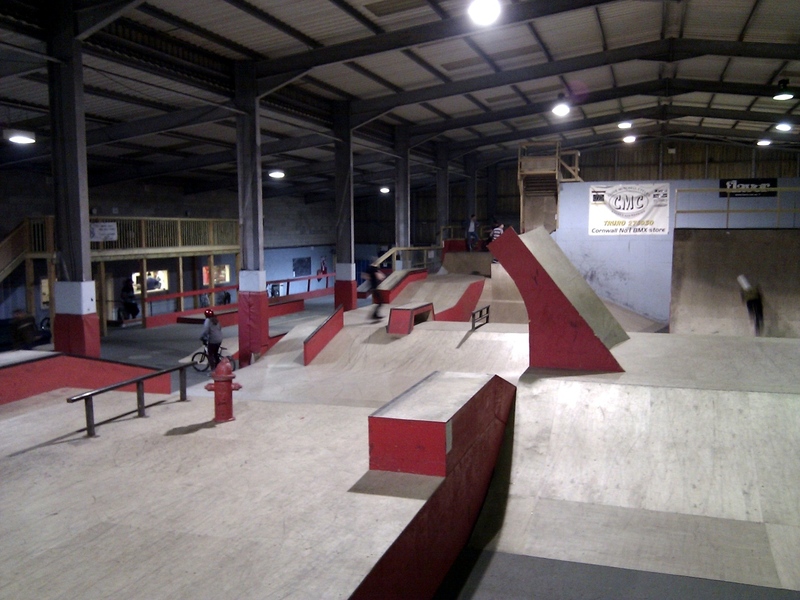 This test proved the fundamental idea, and opens up lots of possibilities, different types of visualisations, recording/replaying paths over time as well as the possibility of identifying individual skaters or BMX riders with computer vision. One great advantage this setup has is once it’s running it will work all the time, with no need for continuous calibration (as with RGB cameras) or the use of any additional tracking devices.